Why Should you Invest in SIP or Systematic Investment Plan? 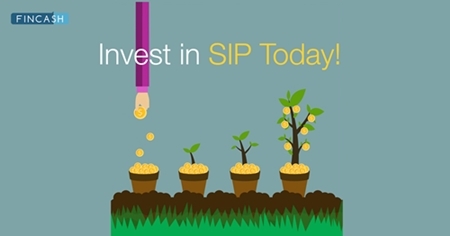 How does SIP Investment Grow? How to Invest in SIP Online? SIP plans help you save money and achieve all these goals in a systematic manner. How? Read the below section to know. The biggest benefit that a systematic investment plan offers is Rupee Cost Averaging which helps an individual to average out the cost of an asset purchase. While making a lump sum investment in a mutual fund a certain number of units are purchased by the investor all at once, in the case of a SIP the purchase of units is done over a long period and these are spread out equally over monthly intervals (usually). Due to the investment being spread out over time, the investment is made into the stock market at different price points giving the investor the benefit of averaging cost, hence the term rupee cost averaging. Systematic Investment Plans also offer the benefit of the Power of Compounding. Simple interest is when you gain interest on only the principal. In the case of compound interest, the interest amount is added to the principal, and interest is calculated on the new principal (old principal plus gains). This process continues every time. Since the Mutual Funds in the SIP are in instalments, they are compounded, which adds more to the initially invested sum. Apart from this Systematic Investment plans are a simple means to save money and what is an initially low investment over time would add to a large sum later on in life. SIPs are a very affordable option for the masses to start savings since the minimum amount required for each instalment (that too monthly!) can be as low as INR 500. Some Mutual Fund companies even offer something called a “MicroSIP” where the ticket size is as low as INR 100. Given that a systematic investment plan is spread over a long period of time, one catches all periods of the stock market, the ups and more importantly the downturns. 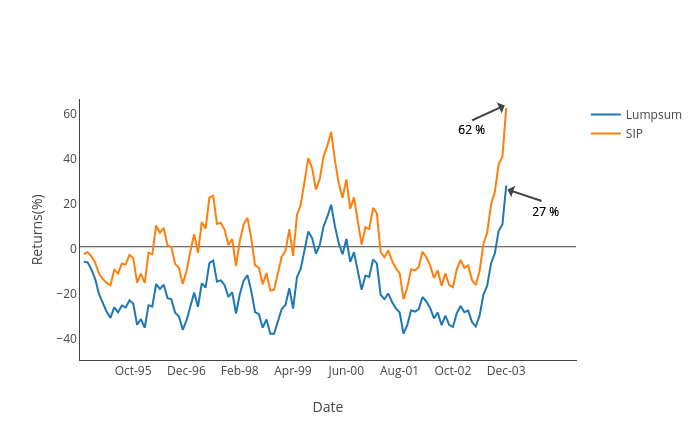 In downturns, when fear catches most investors, SIP instalments continue ensuring the investors buy “low”. Investing money is an art, it can work wonders if done correctly. Now that you know the best SIP plans you must know how to invest in SIP as well. We have mentioned the steps to invest in SIP below. Take a look! 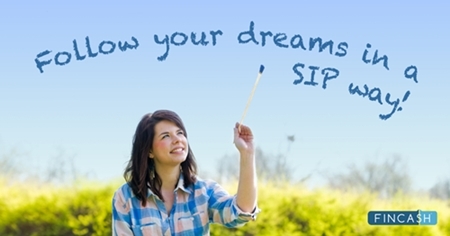 Choose a SIP investment suiting your financial goals. For example, if your goal is short-term (buying a car in 2 years), you should invest in debt mutual fund and if your goal is long-term (retirement in 5-10 years), you should invest in Equity Mutual Funds. This will ensure that you invest a right amount of money for a right period of time. As SIP is a monthly investment, you should choose an amount that you will be able to invest monthly without fail. You can also calculate the suitable amount as per your goal using sip calculator or SIP return calculator. Make a wise investment choice by consulting a financial advisor or by choosing best SIP plans offered by various online investment platforms. Want to know how your SIP investment will grow if you invest a certain amount monthly for a specific period of time? We will explain you with an example. SIP calculators usually take inputs such as the SIP investment amount(goal) one seeks to invest, the number of years of investing required, expected Inflation rates (one needs to account for this!) and expected returns. Hence, one can calculate the SIP returns required to achieve a goal! The above calculations show that if you invest INR 10,000 monthly for 10 years (a total of INR 12,00,000) you will earn INR 27,86,573, which means the net profit you make is INR 15,86,573. Isn’t it great! SIP investment in Mutual Funds is the most convenient way to inculcate the habit of saving. Too often the youngest generation of earning people do not save much. To have a Systematic Investment Plan one does not require a massive amount of investing as the starting amount is as low as Rs 500. From an early age, one can get into the habit of making their savings as a form of investment. SIP, thereby sets aside a fixed amount to be saved during each month. Systematic Investment Plans are therefore one of the most important tools of smart investing. SIP’s help you prepare for your financial goals in a hassle-free manner. Having a SIP is extremely convenient as the Mutual Funds require the paperwork to be done only one time after which the monthly amounts are debited from the bank account directly without intervention. As a result, SIP’s do not require the efforts required by other investments & savings options. Plan your goal using mutual funds, use SIPs to reach them! Best Investment Plan: How To Create A Financial Plan? ☆☆☆☆☆ Rated 4.4, based on 29 reviews.